Tyylikkäällä Kensingtonin alueella sijaitseva 4 tähden Millennium Gloucester Hotel London on 100 metrin päässä Gloucester Road -metroasemalta. Hotelli tarjoaa elegantteja, ilmastoituja huoneita sekä 5 ravintolaa ja kuntosalin. Modernisti sisustetuissa, tilavissa huoneissa on taulu-tv satelliittikanavilla, kiinteä internetyhteys ja työpöytä. Huoneissa on myös minibaari ja ylellinen kylpyhuone. Olives-ravintola tarjoaa aitoa italialaista ruokaa, ja Bugis Street Brasseriessa on tarjolla modernia kantonilais-​​singaporelaisen keittiön ruokaa. Upeasti Raj-teemalla sisustetussa Bombay Brasseriessa on hieno lasikatto, koristeelliset seinät ja intialainen menu. Vieraat voivat nauttia monipuolisen aamiaismenun South West 7 -ravintolassa ja rentoutua Humphrey's-kahvila-baarissa. Natural History Museum, Royal Albert Hall ja Hyde Park ovat vain 10 minuutin kävelymatkan päässä. Hotellin ympäristössä on loistavia baareja ja ravintoloita, ja Knightsbridgen muodikas alue on lyhyen kävelymatkan päässä. Huomaathan, että lisävuoteen hintaan ei sisälly aamiaista. Varaukseen käytetty luottokortti tulee esittää sisäänkirjautumisen yhteydessä, ja sille tehdään ylimääräinen katteen varaus. +Erinomainen sijainti, asiallinen hotelli. - Huoneen katto vuoti vettä ja aamulla oli näin vaatteet märkänä. Siivooja huuteli huoneen edustalla kovaan ääneen puhelimeen klo 2.00, äänieristys nolla. When I stayed at this hotel, I got the old room. 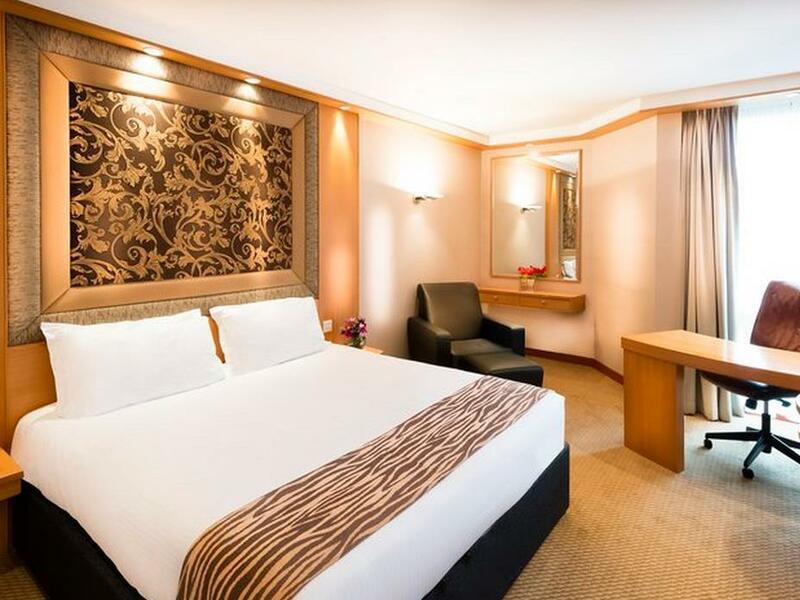 If you lucky or member of Millennium Club, you can get a new refurbished room. The location itself is very close to Tube Station (Gloucester Road Station). Also many option of restaurant nearby hotel such as KFC, Burger King , Nandos, Starbucks, and convenience store Tesco Express that open 24 hours. The breakfast is good but quite boring with same menu each day. Quite thankful to have the opportunity to travel to London on frequent business trips. 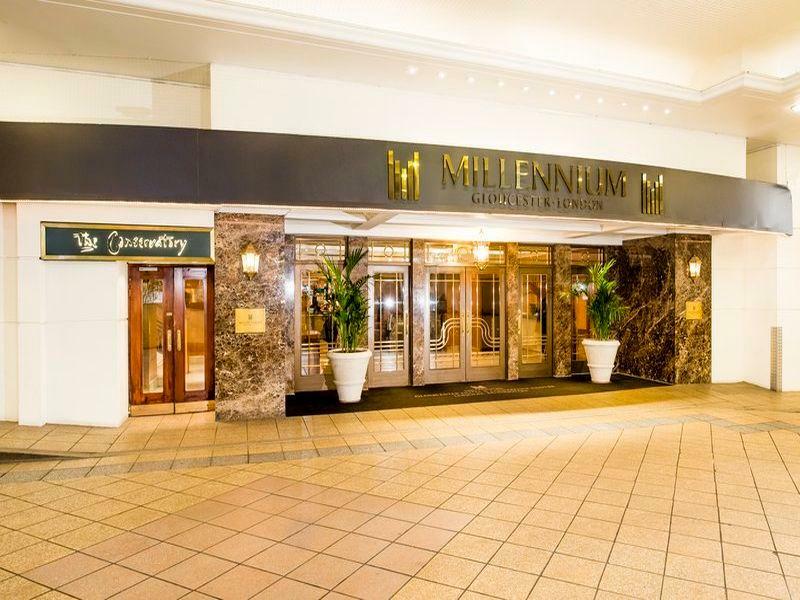 Millennium is always my choice because of its proximity to the tube station. i use the gym facilities quite often and the equipment is decent. the club lounge is nothing to crow about but the club rooms are definitely better than standard rooms, e.g. complimentary bottle of water, and definitely larger. breakfast is a good spread but you can easily get a good one outside the hotel so not essential to include. at times though i find myself waiting quite a bit when checking in. think could have more staff to help. can i also suggest that the stairs leading from the hotel entrance to the reception be made into a ramp? more luggage friendly. I stayed twice in this hotel this month. The WiFi not working in the room. Both rooms carpet, drawers were dirty. Inside the drawer got leftover bread crumbs. Never been cleaned. The desk Lamp has missing light bulb. Bathroom wall molding. I have called housekeeping and maintenance crew since 4pm for 5 times to change the light bulb in the bathroom. Nobody came to change the bulb. The operator got the night Manager at 11pm to call me and being told that the maintenance crew has left the hotel even though their shift will end at 11pm and will inspect tomorrow. Good location with bad service, dirty room and not working wifi in the room. I always send my customers this hotel. I have private tour company. Best location , close to the airport , a lot of resturant surround the hotel, stuffs are good service. And friendly, also they have Japanese staff as well. When my customers were checked in, Megumi was coming! Sand say to me Hello, this is very impressed. It was very reliable and helpful us. Bar stuffs were nice attitude and funny as well. 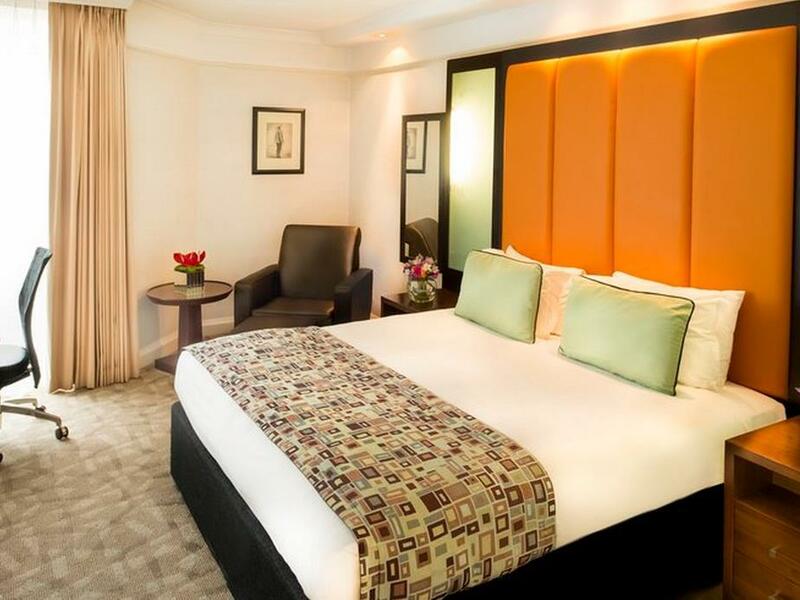 Bary’s Hotel and Mirenium hote are best hotel in London! Location is everything. Along Piccadilly Line and nearby to Natural History and Victoria and Albert. Also walkable to Kensington High Str and Harrods. But interior is a bit aged. I have been visiting for a few years and hardly any facelift in the said period. Selection of food at Club Lounge can be improved too. have always bee staying at the hotel. its convenient and presents a constant in my travels. good breakfast and wifi. can get a little busy at times but staff tries to do their best to tend to our needs. can't recommend a better place. Was ok. Location cannot be beat. Had breakfast, used the lounge, the gym. But at reception, as I was in the club rooms with free wifi, staff should have informed straight away what is needed for log in. The doorman and concierge were also more interested to chat amongst one another than to help some ladies with seemingly heavy luggage. The rooms are a bit worn. Was a decent stay but staff performance could be improved. for example, i forgot to bring my credit card which i used to reserve the room. even though i could present various photo id the staff still wanted to refund the card and asked me to pay for the room on the spot. Rooms are a bit worn, and could do with some refurbishment. good location next to subway. My package does not come with wifi which I thought was unusual. It does not cost hotel anything to provide wifi service which is a necessity nowadays. Lifts are getting aged. Did not stop at level 2 many times. Very slow also. 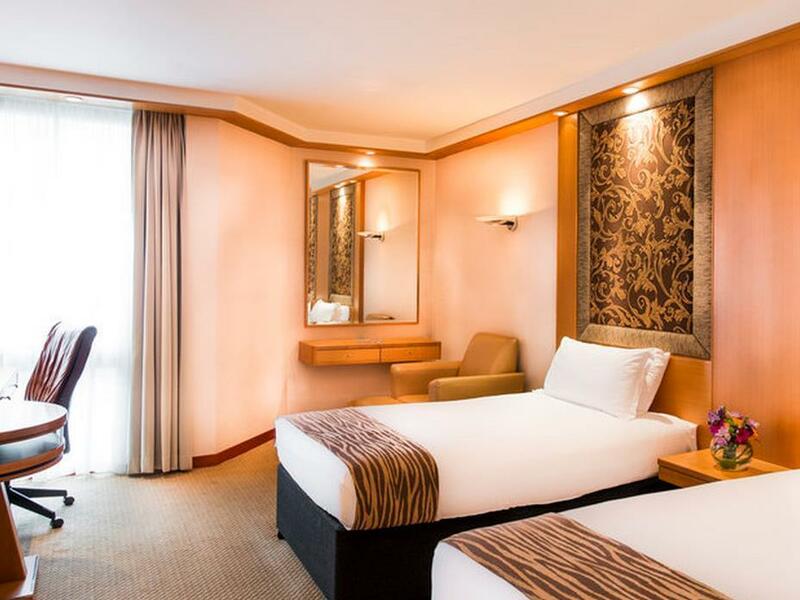 comfortable 1 week stay in this hotel. no major complains overall. room size was decent considering the price paid. was offered upgrade to club level for extra 40 pounds a night (includes free bfast & wifi internet) and was given rooms immediately upon check-in. I loved this hotel. They were friendly and professional. It looked after my needs for both work and private. The room was clean, comfortable and sizeable. The staff were excellent; even the staff on the door and luggage desk were friendly and helpful. Breakfast was fine. The location was superb. I met and talked to people in the lobby and moved to the adjacent bar. Restaurants were very close. I would stay again. Pros-Location!Location! Then again there’s many other hotels around the vicinity. Front desk staff were pleasant. Cons-Old run down rooms, musty carpets, stains in coffee mugs, bath tubs and walls with bunch of hairs. To top it maintenance door panel was opened and there was an old cardigan stuffed in it. Requested for double bed on Agoda, checked in and was inform not highlighted only twin. Besides the size of the room and location for this price, there’s really nothing else. I felt, for these reasons, hotel did not bother doing much to accommodate or please their customers. This was once a great 5 Star The Gloucester Hotel in the 1980’s/90’s. It eventually became the Millennium Gloucester & has not been refurbished or modernised in the last 30 years! How it holds a 4 Star rating is beyond me, it’s in a sorry state, a 3 Star joint. The ONLY floor that has been refurbished is the 5th Floor known as the Millennium Club Floor. That floor is indeed a low end 4 Star hotel. The rest is a 3 Star establishment. The gym was last updated about 25 years ago, no air conditioning or TV in gym & the equipment is derelict. The general corridors with worn down once lavish blue & gold patterned carpet had scuffed walls & scarred room doors. The corridor was unkept & dirty. Pistachio nut shells, chocolate & sweet wrappers littered the 2nd floor corridor & the 4th floor had litter, numerous dirty room service trays too. The hotel is badly run down. The room furniture was battered, scuffed & old, with tardy curtains / windows, well used sofas. Old & sad. Furniture lamination pop up in every drawer. Carpet is dirty. Internet does not work well. Bathroom shower head place too low for an average 1.7 meter person. It is close to the tube. 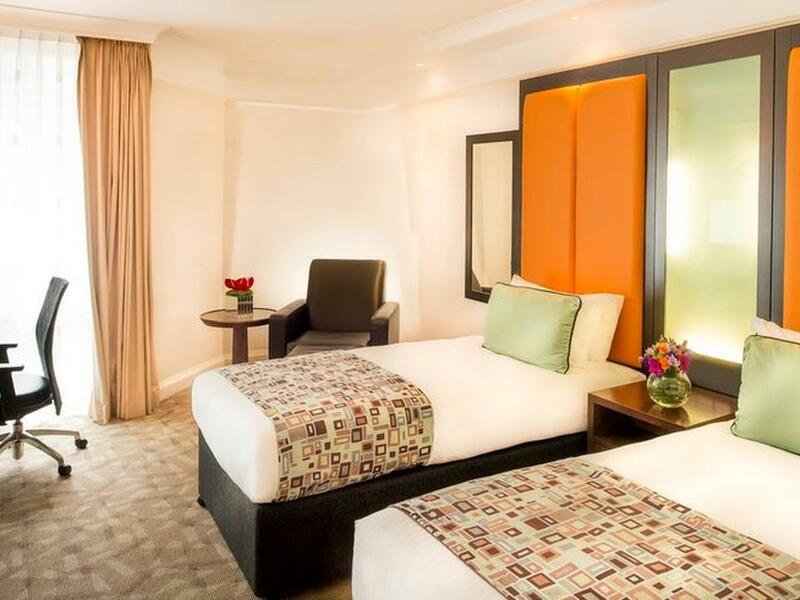 Easy to move around as it is just a few stops away from Picadilly Circus, and a direct tube ride to the airport, without changing any lines. The Location is good but the Hotel is in desperate need of renovation. Rooms are old, Worn, Badly Lit and look like something from the 1980's. The staff try and cope but they appear overworked and stressed. Gloucester Road Tube Station on 0.08 km.